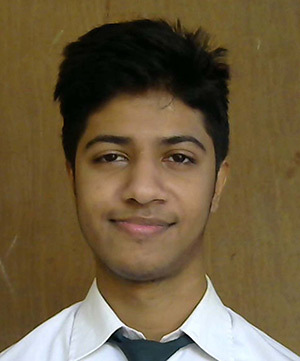 We are proud to announce Rishav Kumar, a Student of XI – I is the National Winner at CBSE National Science Exhibition 2018-19. 900 participants from more than 450 schools participated in this National Event with 700 models. 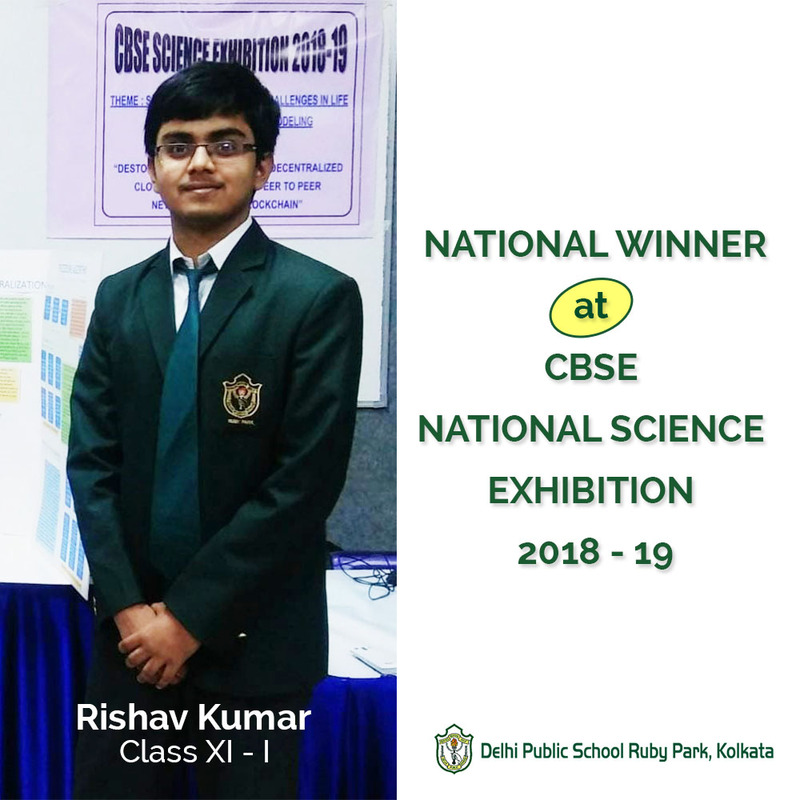 CBSE has awarded Rishav with a winner’s certificate and Delhi Public School Ruby Park has been awarded a prize money of Rs. 5000. 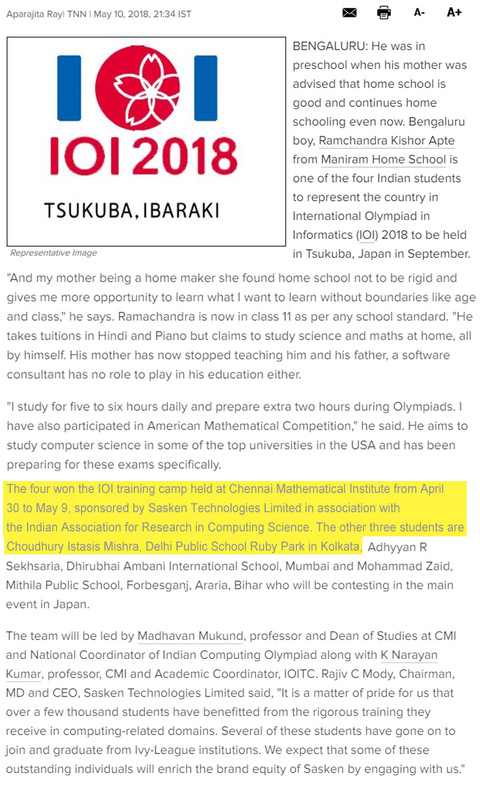 We are Proud to announce Choudhury Istasis Mishra, a student of Class 12 of DPS Ruby Park, Kolkata has been selected for representing Indian Team consisting of four students to the International Olympiad for Informatics to be held in Tsukuba, Ibaraki Japan in September 2018.Congratulations! 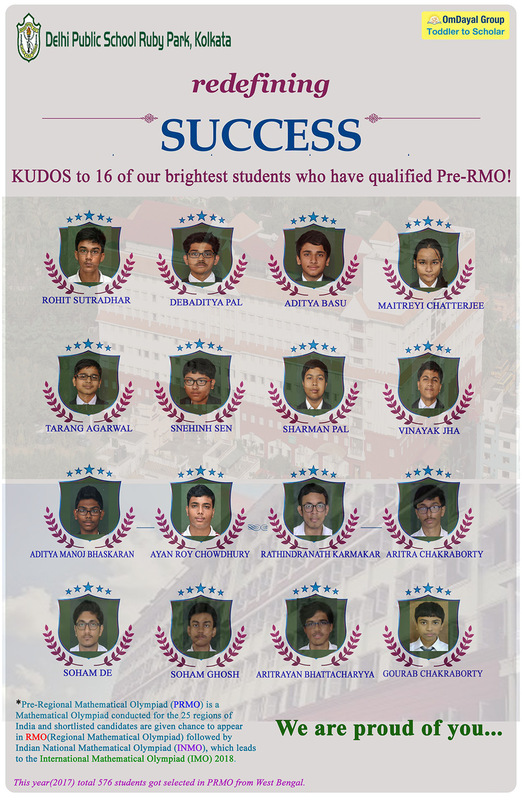 KUDOS TO 16 OF OUR BRIGHTEST STUDENTS WHO HAVE QUALIFIED PRE-RMO! 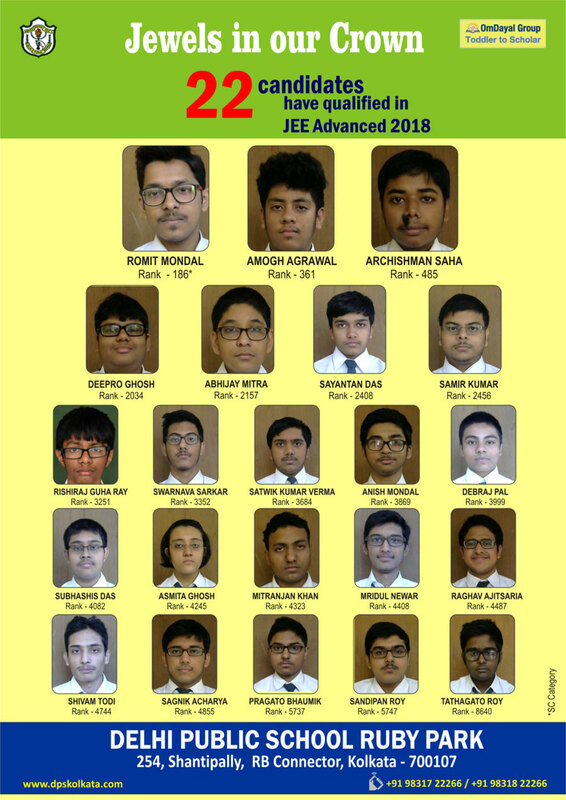 Delhi Public School Ruby Park, Kolkata proudly announces that 39 candidates have qualified in JEE Advanced Examination 2017, and many more have made us immensely proud. 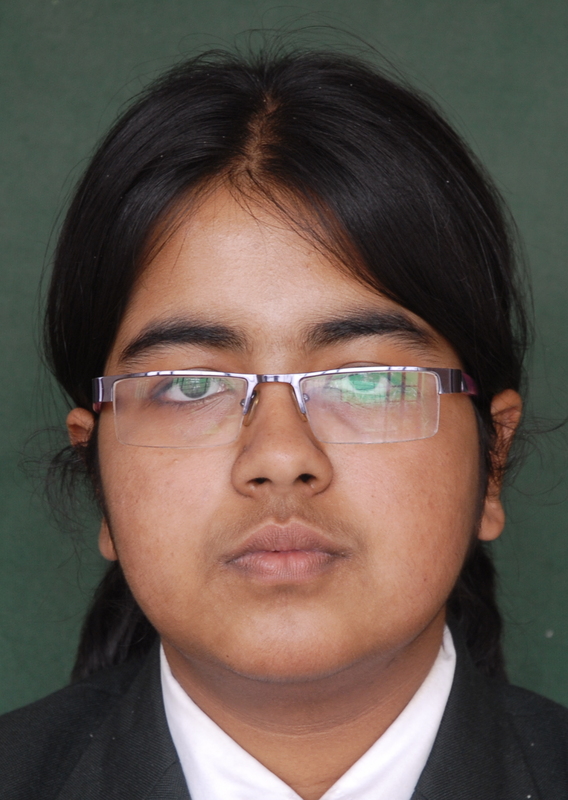 There are many other brilliant achievers from our school. Congratulations to all of them !! 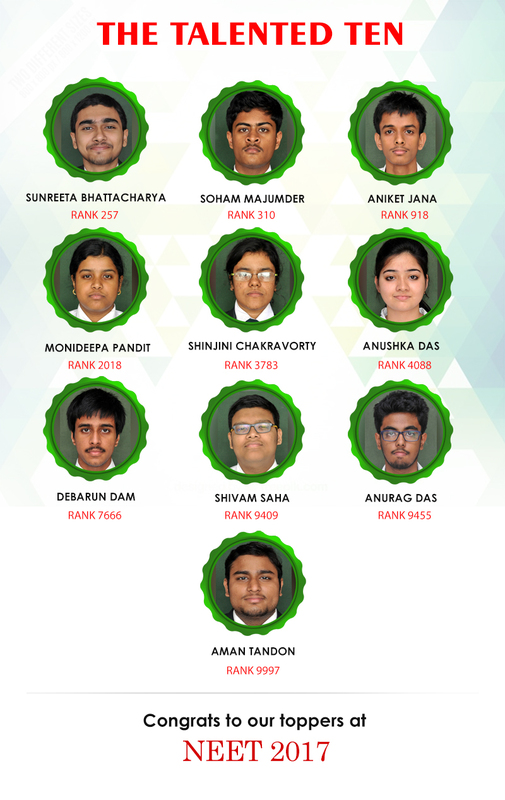 Once again the students of Delhi Public School Ruby Park have shown a stellar performance in IIT JEE Mains 2017 Examination. This time they have surpassed their previous record by a good margin. 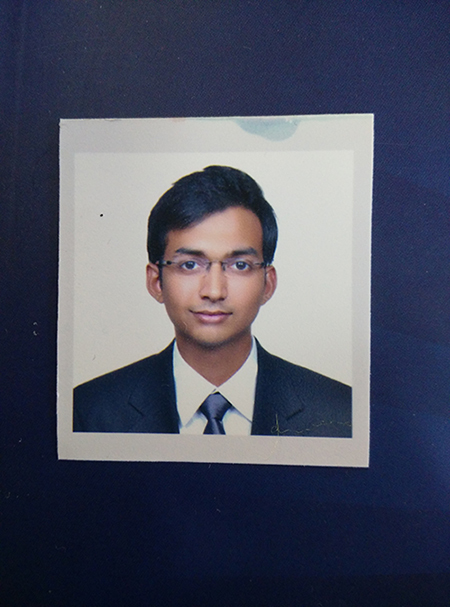 31% (160 out of 508) of our student applicants have qualified for the JEE Advanced after clearing the Mains. 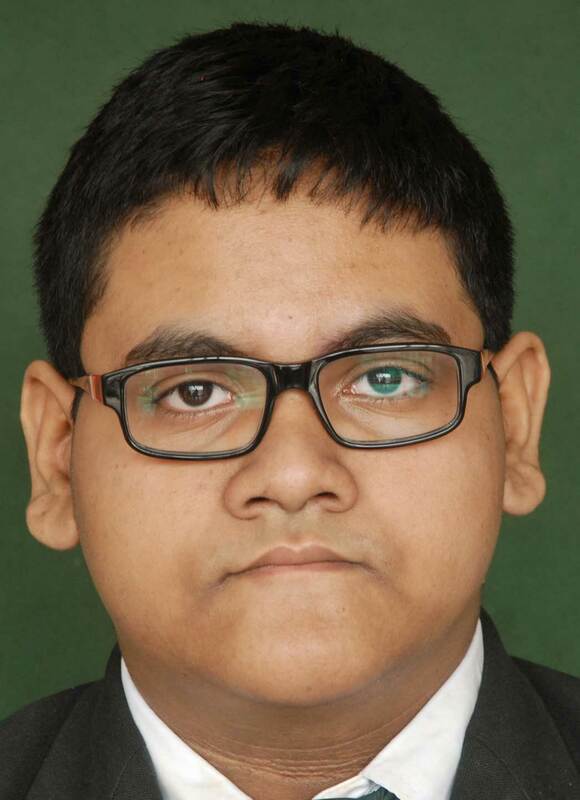 13 Students have secured more than 200 marks. No other school in this region has got such a stupendous number of 160 successful students. Kudos to DPS Ruby Park. 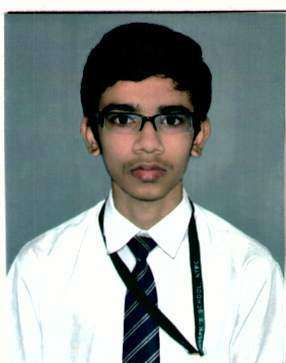 DPS Ruby Park Kolkata is proud to announce the stupendous success of Dipsites in the prestigious KVYP examination. It is the collective zeal, determination and commitment of all involved that has made this feat possible. Delhi Public School Ruby Park, Kolkata proudly announces that 129 candidates have qualified in NEET 2017. 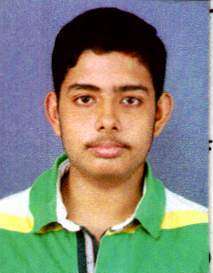 There are many other brilliant achievers from our school in NEET 2017. Delhi Public School Ruby Park, Kolkata proudly announces that 252 candidates have qualified in WB JEE (Engineering) 2017. 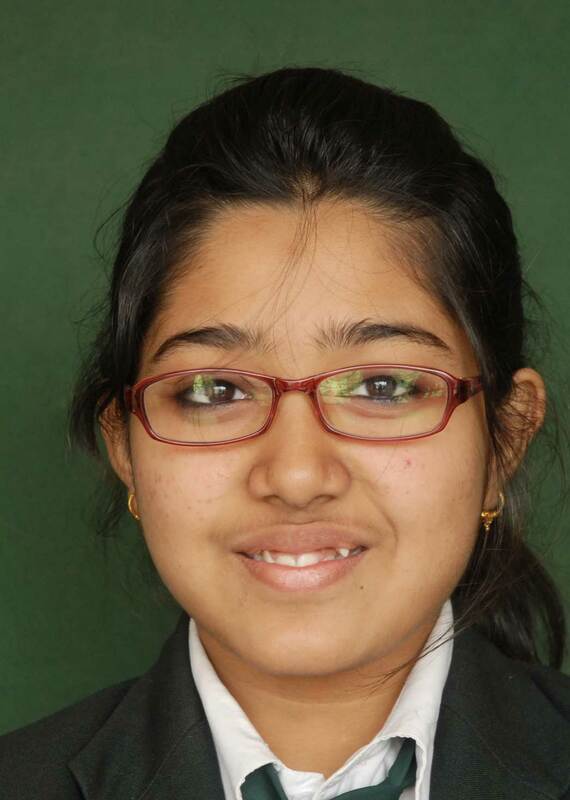 Excellent results: More than 40% of the students scored above 90% in CBSE Board Exams. 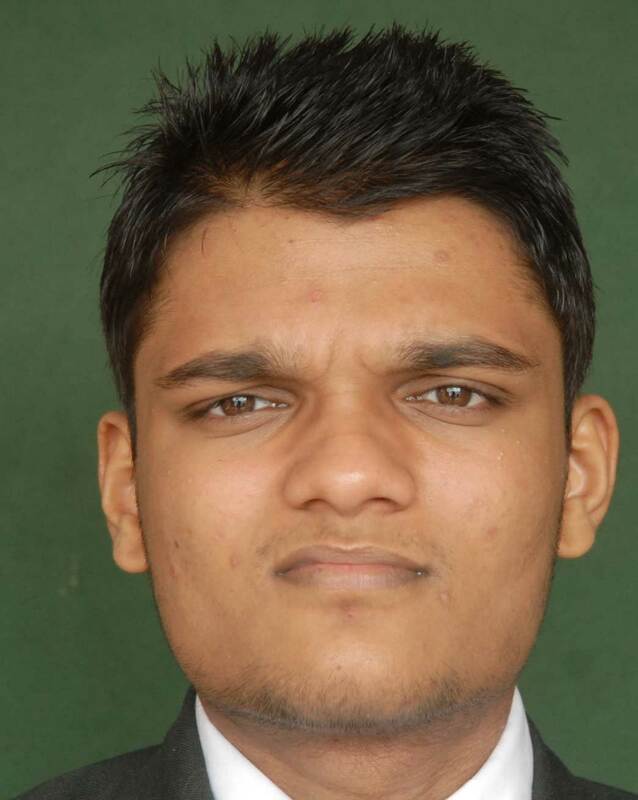 92 Students qualified for IIT-JEE (Mains). 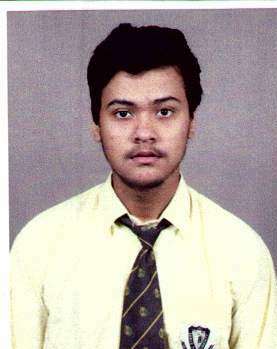 In addition, many students qualified for Medical, WBJEE, KVYP, IMO, etc. 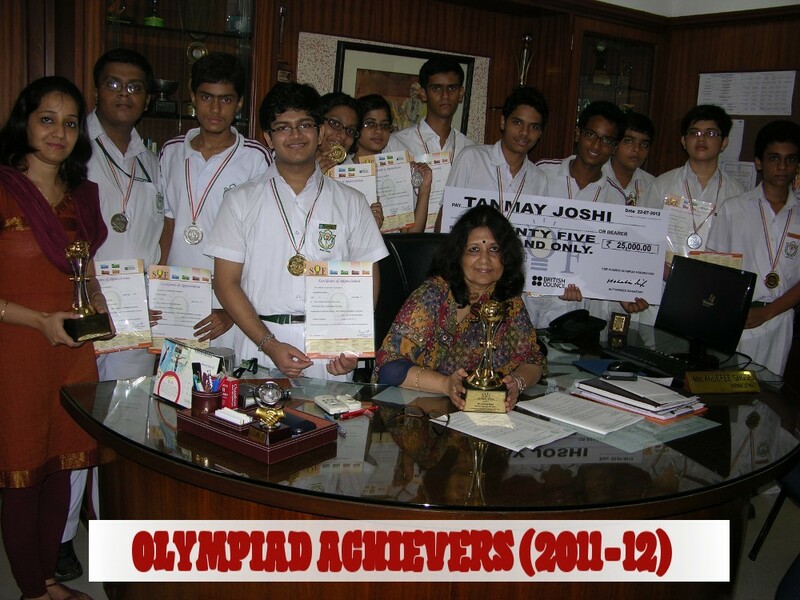 DPS Ruby Park, Kolkata boasts of the highest number of students in +2 Science, in Kolkata. 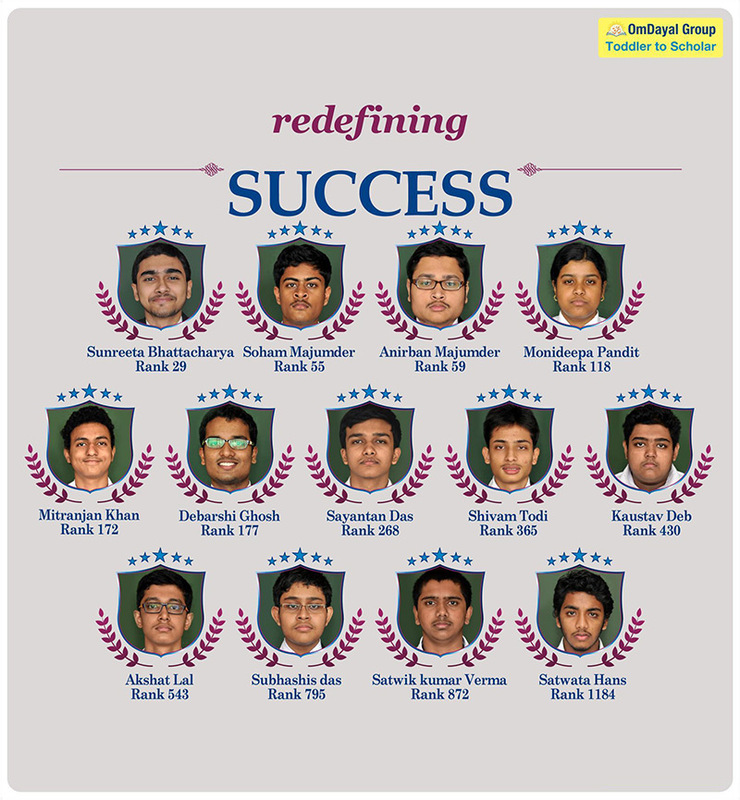 Our Advantage +2 system guides the students to excel in the Board Exams, as well as hone their skills for competitive exams. Delhi Public School Ruby Park, Kolkata, the most preferred CBSE school of Kolkata has added another feather to its cap. 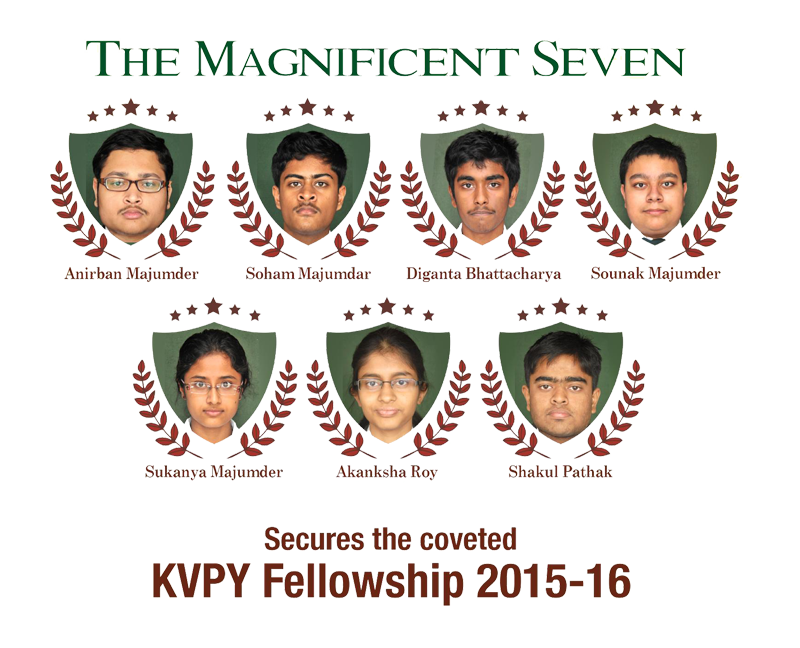 With 7 of its students aking it among the 1200 All India Rank holders in KVPY is indeed a great achievement. It has been possible thanks to the commitment of the faculty, continuous enhancement of the facilities and, of course, the hard work and determination of the students. 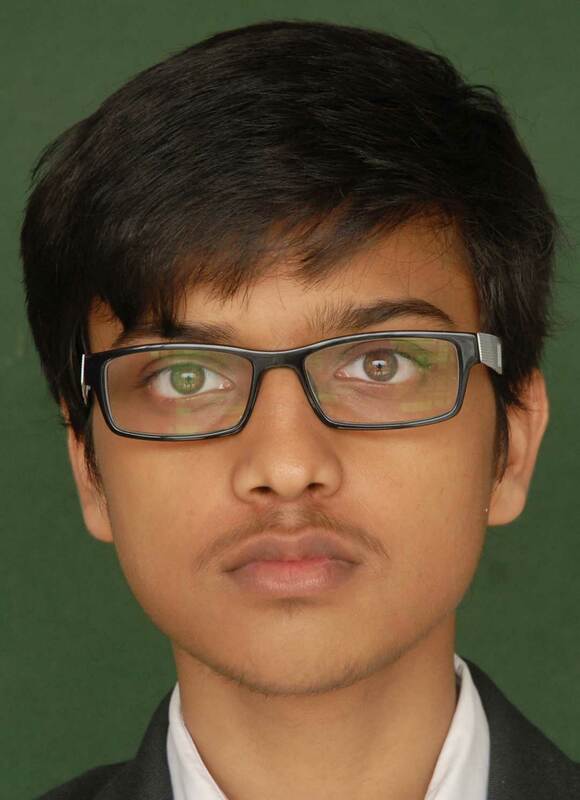 We are happy to announce that Tanishq Mishra of Class 7 Section: H from DPS Ruby Park, has been awarded a cash prize of Rs 2500/- and a Merit Certificate from the Central Board of Secondary Education as his essay has been selected amongst top 36 entries in an Essay Writing Competition ”Expression” held amongst all CBSE schools across India. 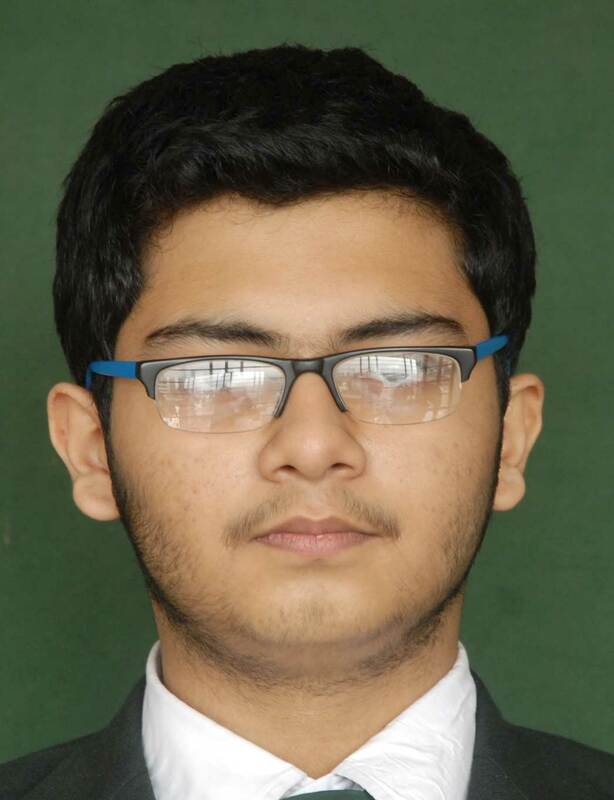 Deep Bhattacharyya of DPS Ruby Park bagged a place among the top 10 in the country in the CBSE Class XII results with a score of 493 out of 500 (98.6%). 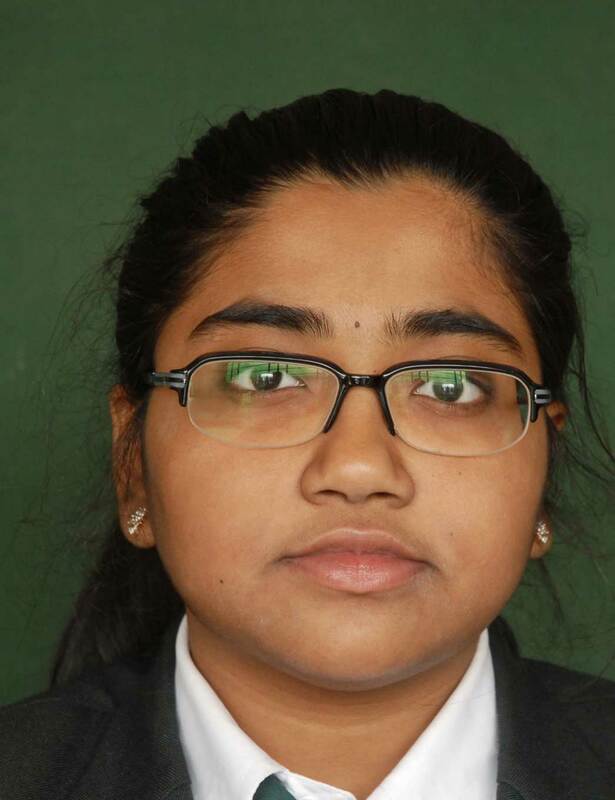 Deep, a science student, is only three marks behind M Gayatri of Delhi’s New Green Field School who scored 496 and stood first. 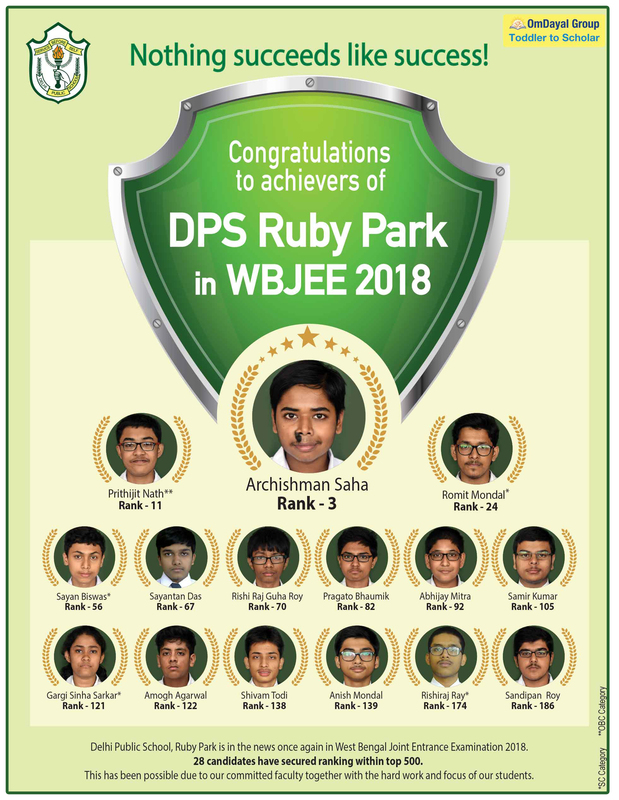 DPS Ruby Park , Kolkata is proud to share with all the news of our ex students. 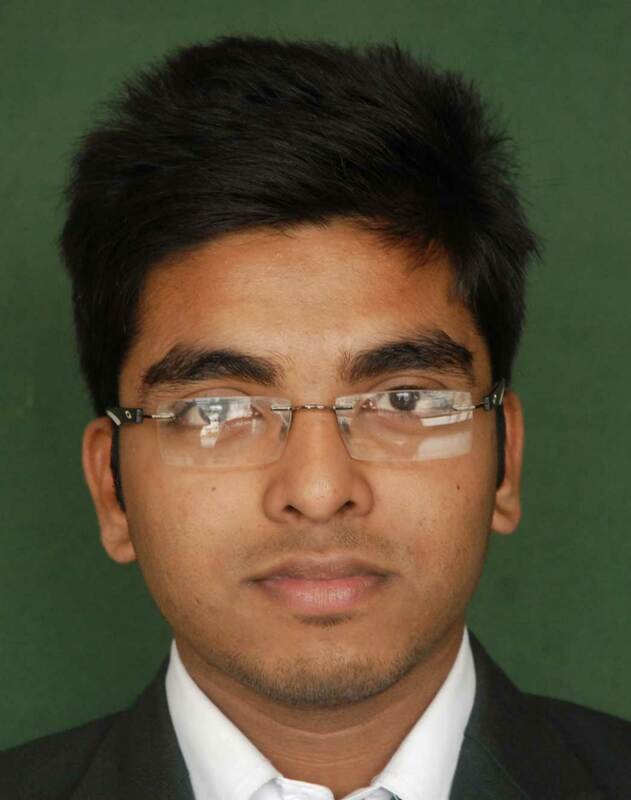 Pranay Boobna, passed in the session 2010-11, was our Head Boy. 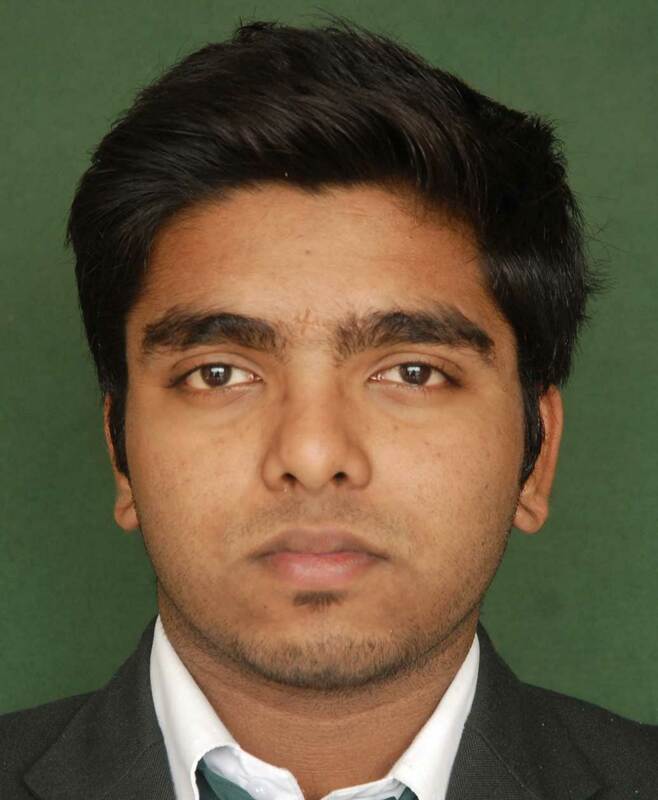 He secured 95.6% in AISSCE and studied B.TECH in “Manufacturing Science & Engineering” from IIT, Kharagpur where he topped his department , securing the Silver medal. 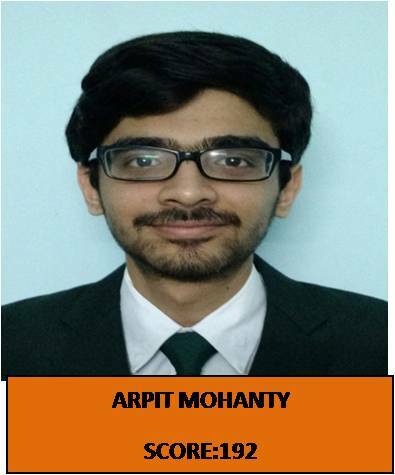 In 2015 he has secured 99.82 percentile in CAT examination and has been selected in the prestigious PGDM Programme of Indian Institute of Management, Ahmedabad . We are proud of his achievements! 32 qualified for IIT JEE( Mains); 15 qualified for IIT JEE( Adv. ); AIR 136 & 171. 9 were awarded INSPIRE scholaships, by Govt. of India, for Innovation in Science. 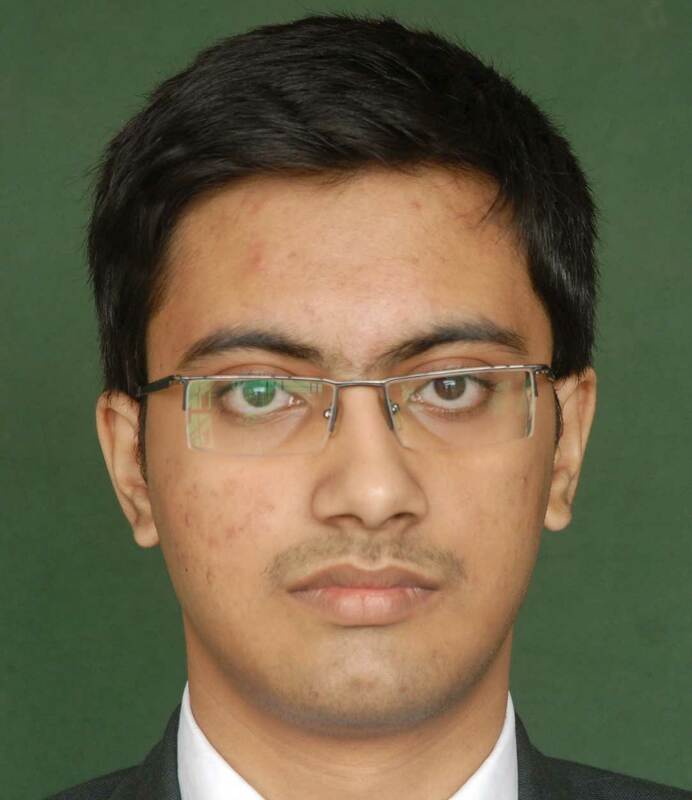 Mayank Santhalia, 2013-14 batch of Class XII (Commerce Stream), has TOPPED THE CITY with 98% marks in the aggregate and 100% each in Accounts and Business Studies. » 74 Students (15.98%) of the total number of candidates have got the maximum possible Grade Point Average CGPA 10 Points. 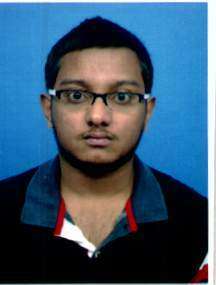 » 213 Students (46%) of the total number of candidates have got CGPA 9 and above points. » All Students have secured CGPA 5.4 and above points. 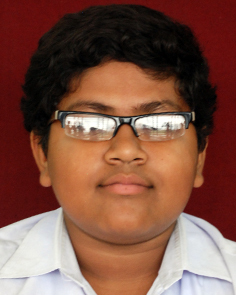 » 155 Students have got A1 (maximum) grade in Second Language. » 116 Students have got A1 (maximum) grade in Mathematics. » 116 Students have got A1 (maximum) grade in Social Science. » 115 Students have got A1 (maximum) grade in Science. »School Average — 8.5 (CGPA). This is to inform all that after Re-Evalution of Board marks in AISSCE 2014, there is a change in the list of School Toppers. Congratulations! 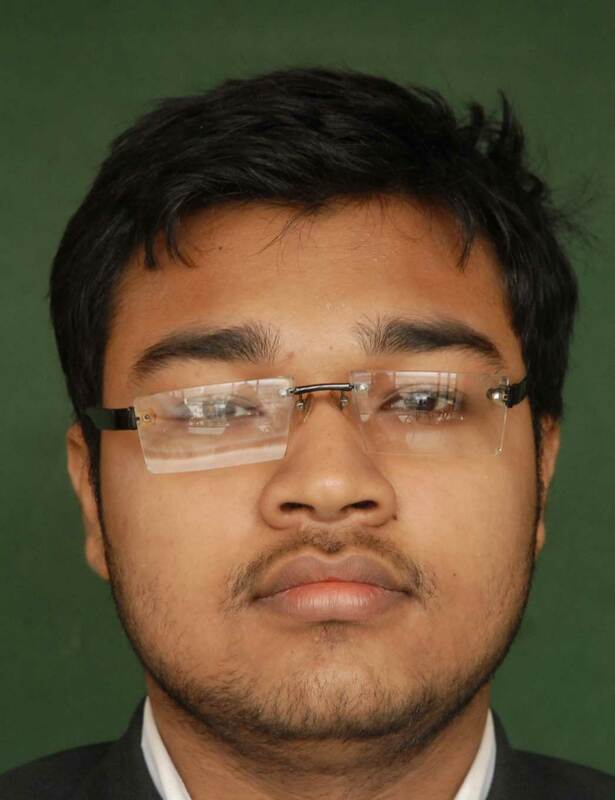 to Raunaq Saha for being awarded the ‘Dr. 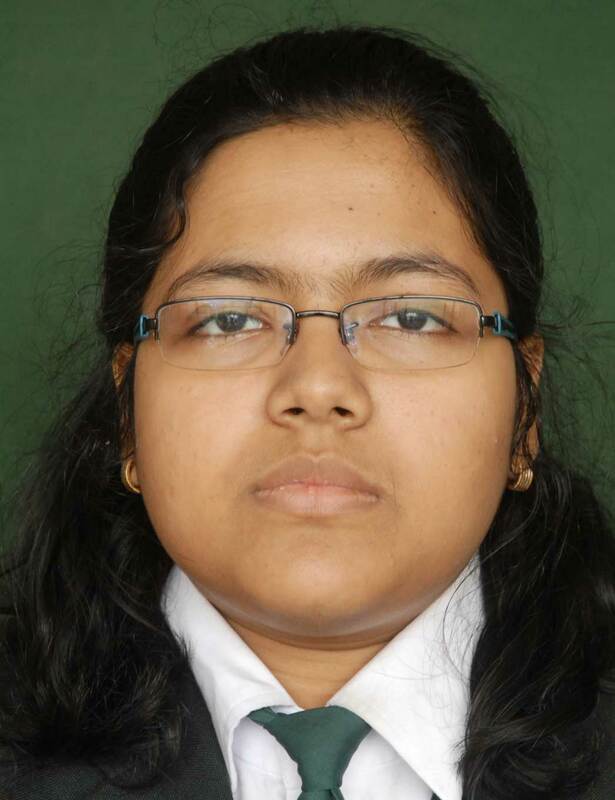 B. R. Ambedkar Medha Puraskar 2013’ by the Government of West Bengal based on his outstanding performance in the 10th Standard Final Examination-2013 conducted by the Central Board of Secondary Education. CBSE National Athletics Meet was held in Varanasi from 17th December to 23rd December, 2013. DPS Ruby Park students performed extremely well and emerged as “OVERALL CHAMPIONS” in Under 14 Boys category. Our Heartiest Congratulations to the Winners !!! CBSE Zonal Athletics Meet was held in Ranchi in November 2013. DPS Ruby Park students participated and became “OVERALL CHAMPIONS” in both Under 14 Boys and Under 14 Girls category. 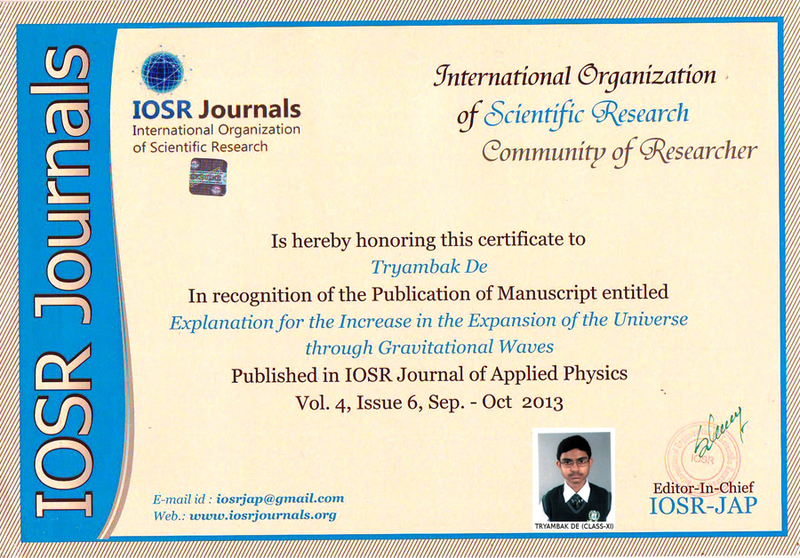 Tryambak De of Class XI has been honoured by IOSR (International Organisation of Scientific Research) in recognition of the publication of manuscript entitled ‘Explanation for the Increase in the Expansion of the Universe through Gravitational Waves’ published in IOSR Journal of Applied Physics Vol.4. Issue-6, September-October 2013. 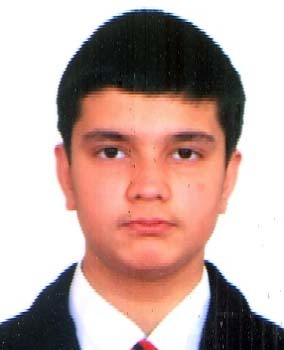 Total number of Students who appeared for the Final Exam — 425 (234 — School Based, 191 — Board Based). 81 Students (19.05%) of the total number of candidates) have got the maximum possible Grade Point Average CGPA 10 Points. 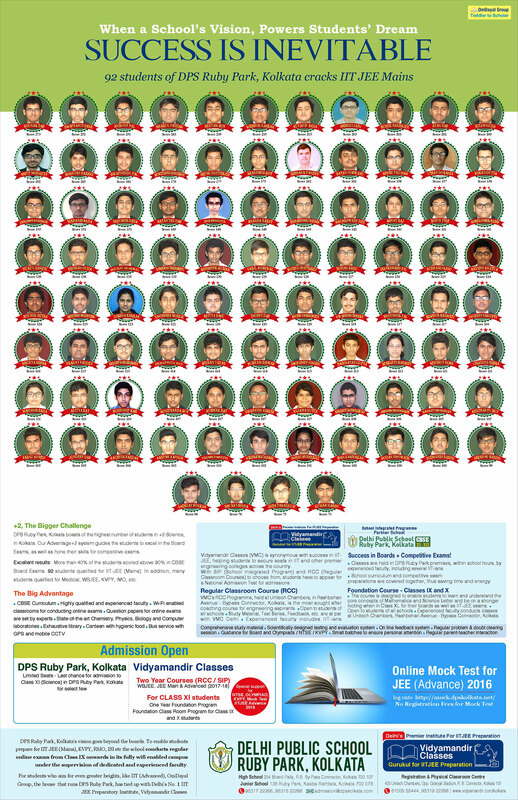 219 Students (51.52%) of the total number of candidates) have got CGPA 9 and above points. 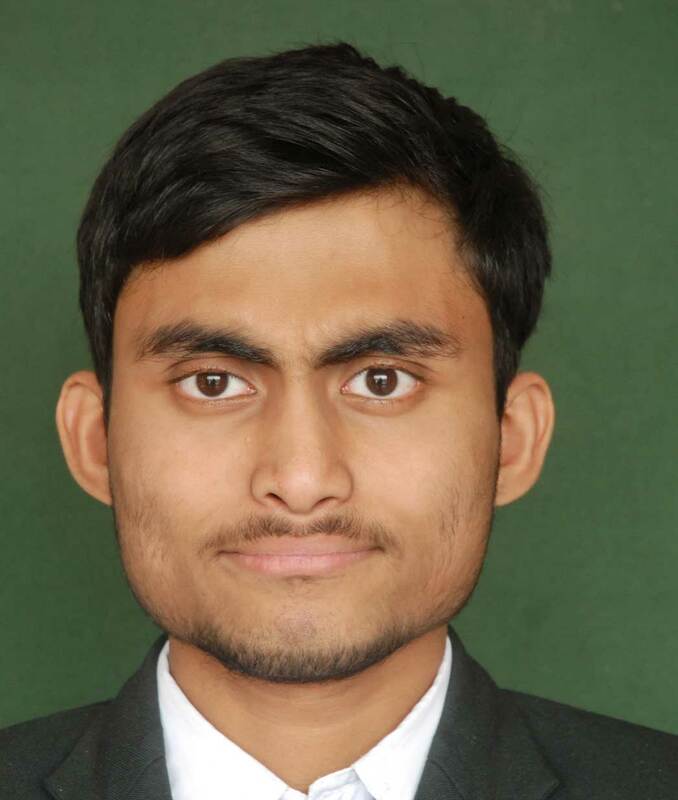 All Students have secured CGPA 5.2 and above points. 178 Students have got A1 (maximum) grade in Second Language. 149 Students have got A1 (maximum) grade in Science. 136 Students have got A1 (maximum) grade in Social Science. School Average — 8.66 (CGPA). 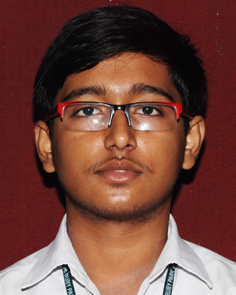 Sagnik Saha, student of Class XII Science has stood overall 3rd in IMOTC (International Mathematics Olympiad Training Camp) held at Mumbai on May 2013 and will represent India at IMO (International Mathematics Olympiad) to be held at Columbia University on July 2013. 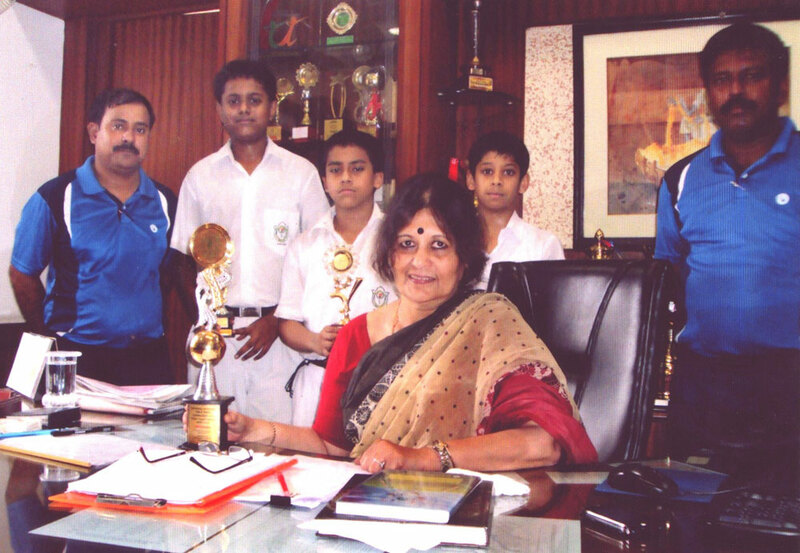 Delhi Public School Ruby Park Boys (Under 14) participated in the Inter-DPS National Table Tennis Tournament organised by DPS Navi Mumbai in the month of May, 2013 and emerged as the Overall Champions. 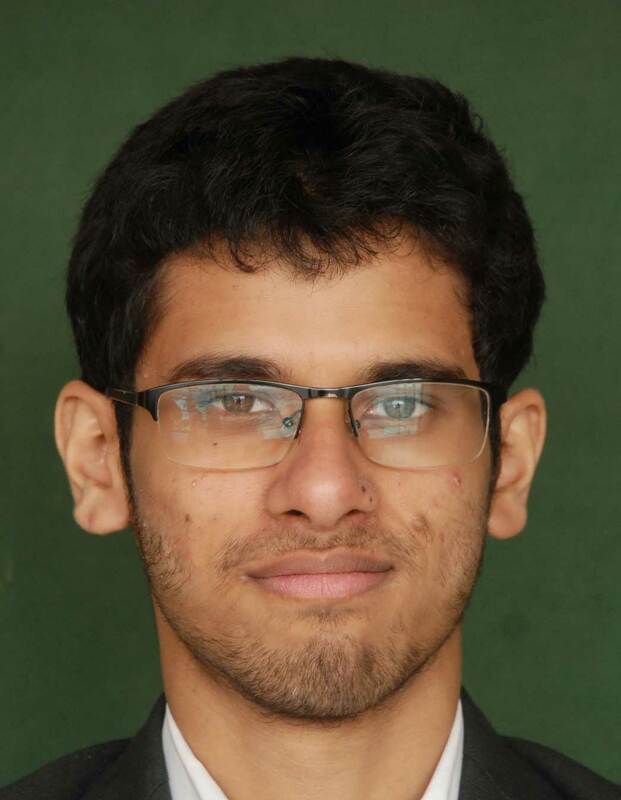 The following students are within the TOP 1% in class XII examination conducted by the Central Board of Secondary Education (CBSE) during the academic session ending March/April 2013. 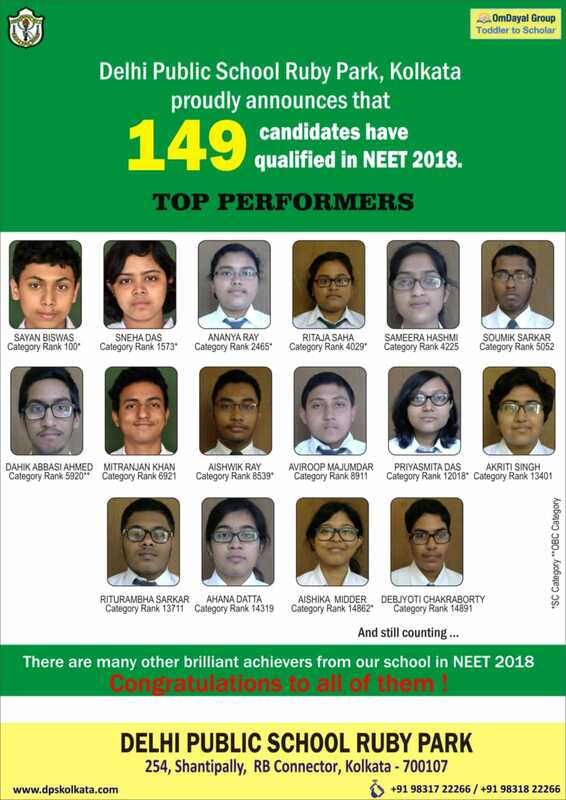 The CBSE will give special Merit Certificates to these 13 students and they will be eligible for SHE ( scholarship for Higher Education by the Govt. Of India ). 53.2% (133 out of 250) students have secured aggregate 80% and above. 96 students (31% of the total number of candidates) have got the maximum possible Grade Point Average CGPA 10 points. 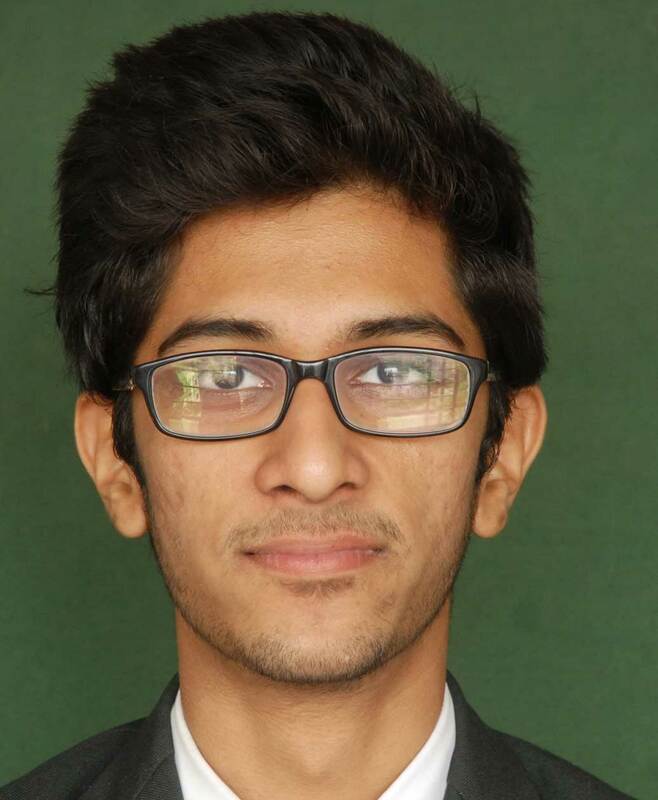 188 students (60.8% of the total number of candidates) have got CGPA 9 and above points. All students have secured CGPA 6.4 and above points. 183 students have got A1 (maximum) grade in Second Language. 146 students have got A1 (maximum) grade in Mathematics. ‘Quizitalia’- a quiz on Italy was organized by the Instituto Italiano di Cultura on the 29th of August 2011 at Rotary Sadan, Kolkata. 17 schools from the city participated in the event. 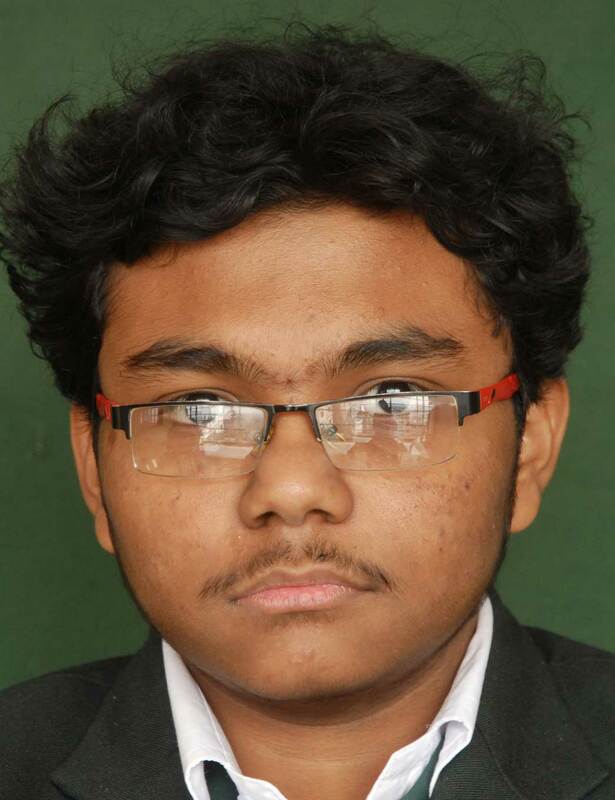 Several teams comprising 2 members each were formed, irrespective of the schools for the elimination round. 2 teams from DPS Ruby Park made it to the finals. 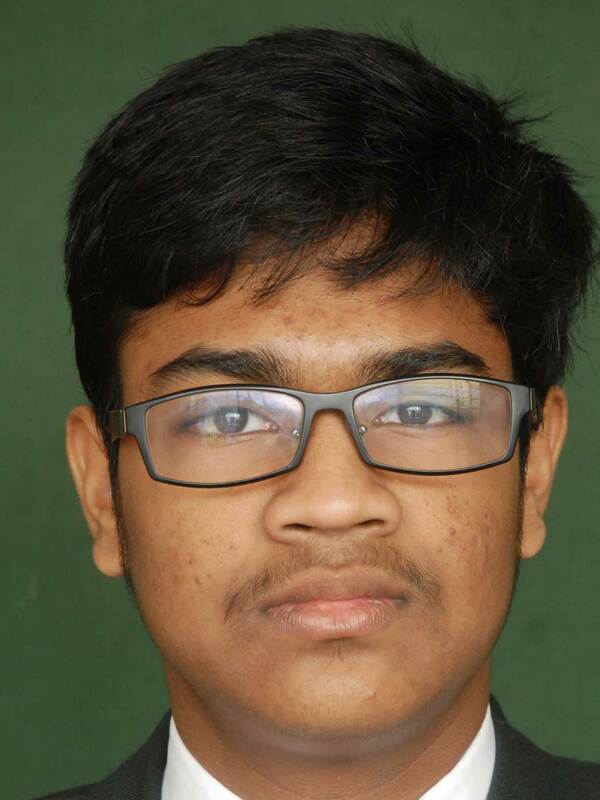 The team comprising Nandish Chattopadhyay (Class XII) & Mitul Dey Chowdhury (Class XII) were the winners & the other team consisting of Arunavha Chanda (Class X) & Yash Vardhan Thirani (Class X) were the runners up. 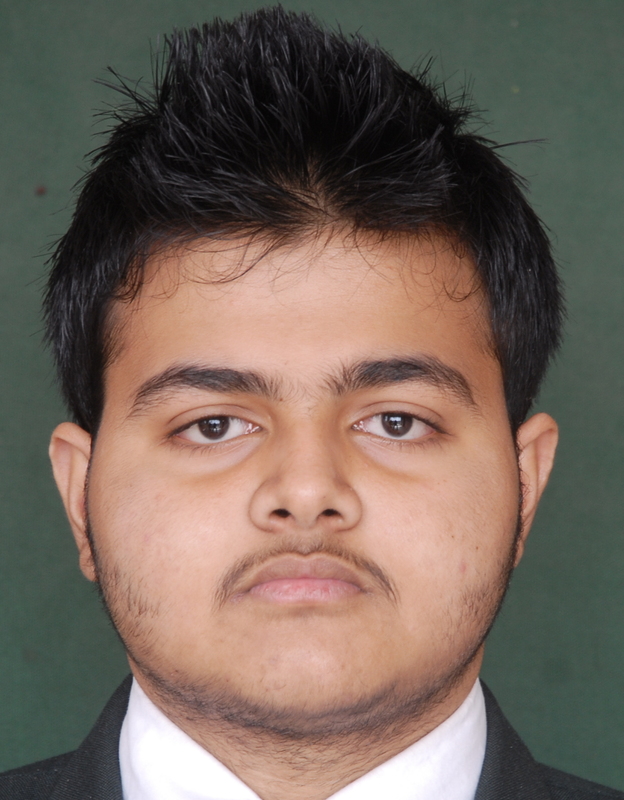 DPS Ruby Park will be representing Kolkata in the finals to be held at Delhi on 17th October. 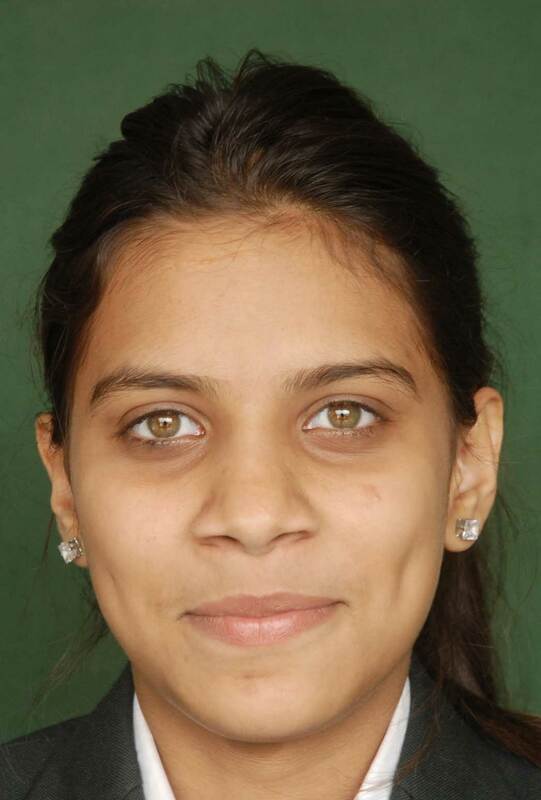 Delhi Public School Ruby Park students participated in the Inter DPS Multi Sports Championship 2011 held at DPS Rohtak from 20th July to 24 th July, 2011 and emerged as the Champion in Athletics.Besides that in Swimming too DPS Ruby Park bagged two Gold Medals. Delhi Public School Ruby Park Bagged the Gold Medal in the Junior Category and became the overall Champion with 3 Gold Medals, 1 silver Medal and 3 Bronze medals after a very tough competition in the third Inter School Boys Karate-Do-Tournament 2011 held on May 7 at Don Bosco School Park Circus. Twenty seven leading schools participated from all over West Bengal. The chief referee was Sensei Lalit Kumar Shaw, Technical Director, North Eastern Gojukai Karate-Do-India. 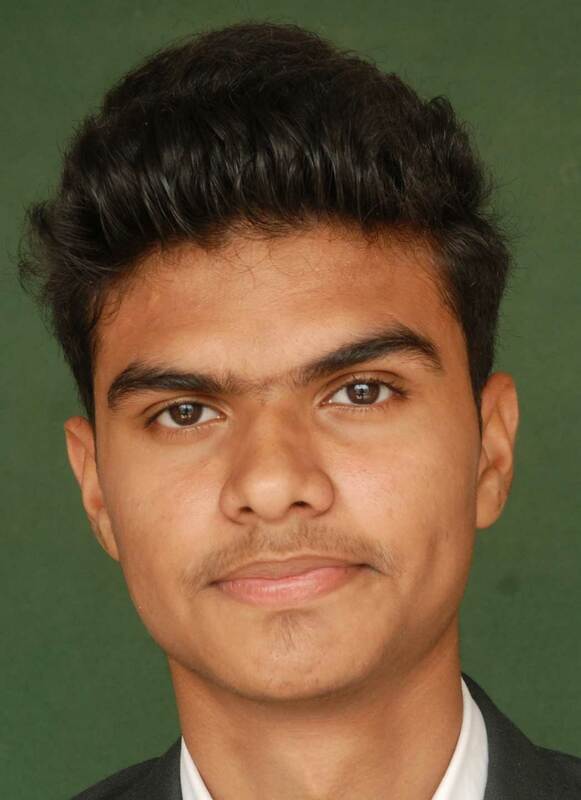 Among seventeen participants from classes II to XII of our school Avinash Rai of Class XI and Ushnik Das of Class VIII bagged Gold in the ‘Kumite’ event, Raghav Talwar received Gold in the ‘Kata’ event, Jyotisko Das of Class VIII bagged Silver whereas Kaab Ahmed (Class VIII), Sarthak Saha (Class IV) and Vansh Agarwal (Class III) secured Bronze Medals in their respective events. 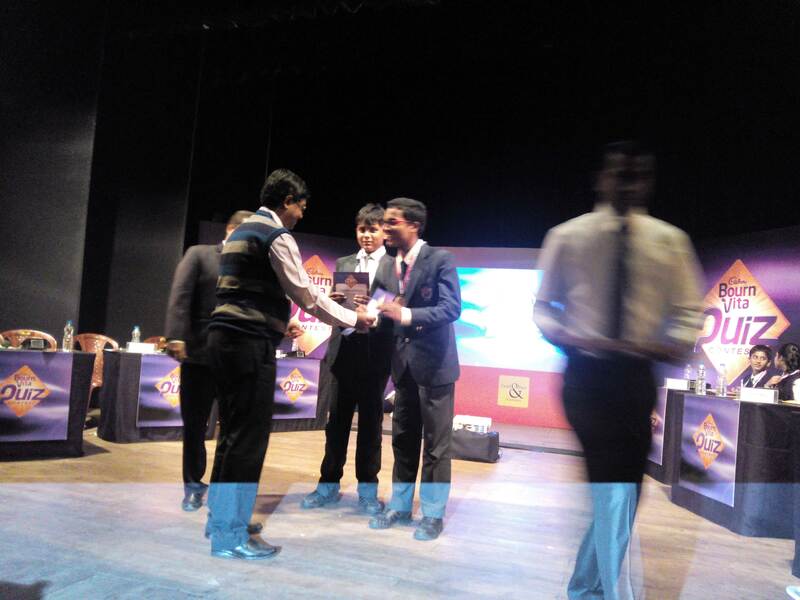 Bishal Dasgupta of Class XI and Vedant Tyagi of Class XII represented the school and participated in the debate. Vedant won a special prize. 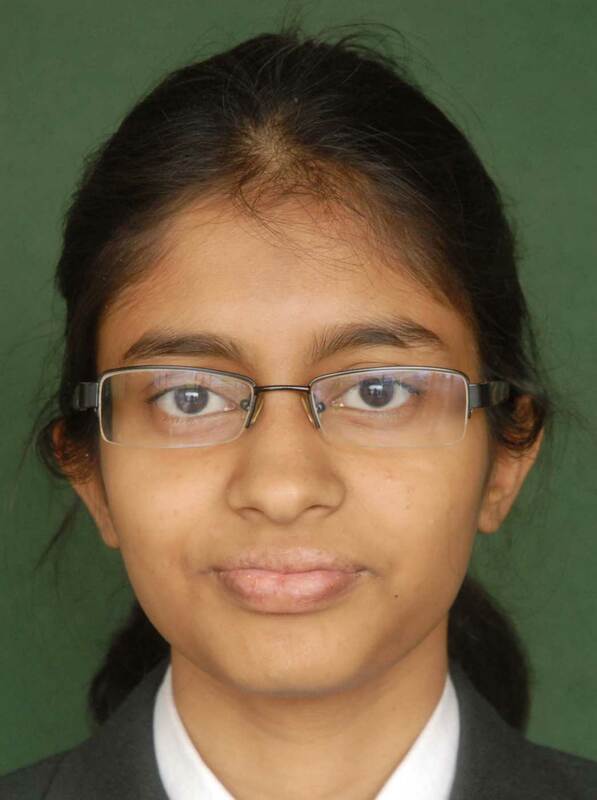 The zonal round of the chemistry quiz was held at BITM on 15 July 2011. 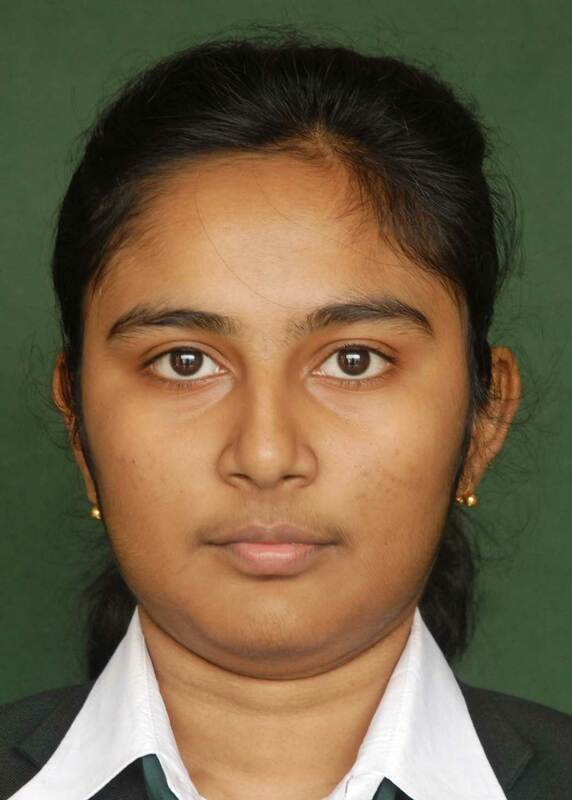 Students from across the eastern region of India participated in the quiz. The zonal preliminary round consisted of seven matches involving three teams and one team from each match was elevated to the zonal semi-finals. There were two zonal semi-finals involving four and three teams respectively. From each semi-final, two teams were elevated to the zonal final. 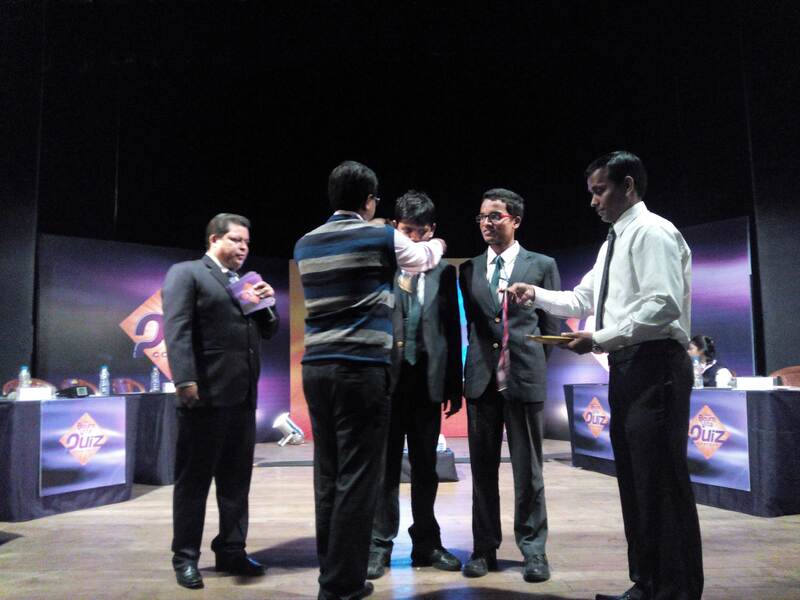 The zonal final had four teams on stage and one team qualified for the nationals. 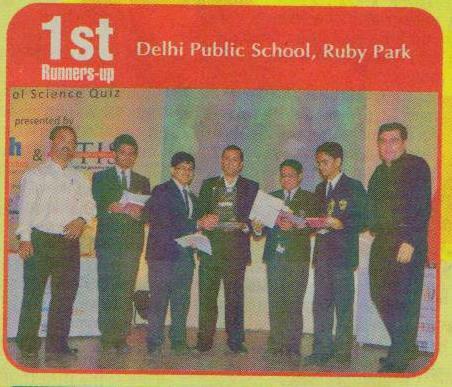 DPS Ruby Park team comprising of Arunavha Chanda of class 10B and Ankit Pati of class 10A. made it to the zonal final and finished second. 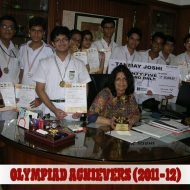 DPS Ruby Park Kolkata became Runners Up in the All India Inter DPS Quiz Contest held on 16th July 2011 at DPS Dhanbad. 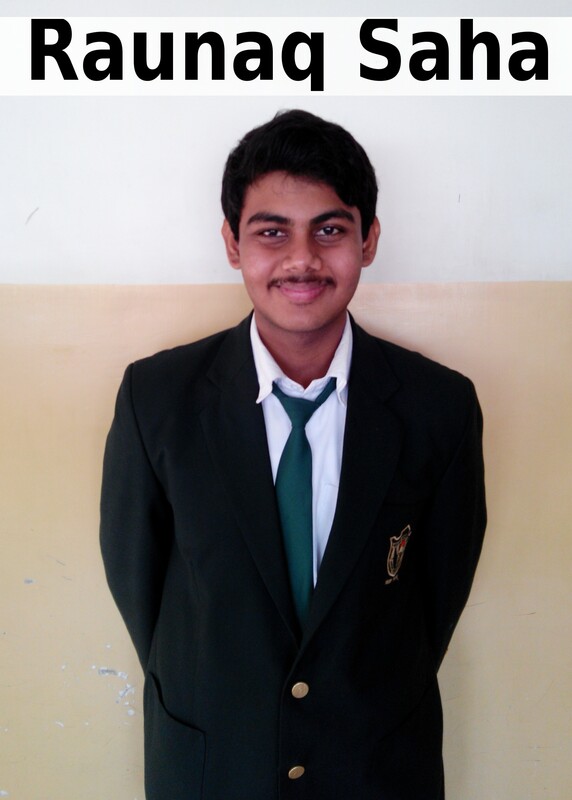 Yashvardhan Thirani and Madhur Goenka of Class X represented the school. Congratulations to the winners! 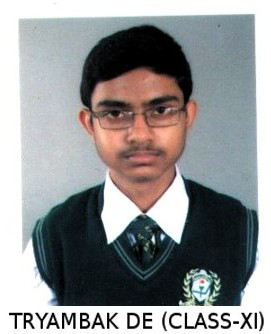 Mitul De Chowdhury (Class 12), Spandana Bhattacharya (Class 11) and Ishan Sharma (Class 10) secured the first position in the Inter DPS Debate competition of the Eastern Zone of India on 25th June, 2011 hosted by the school. 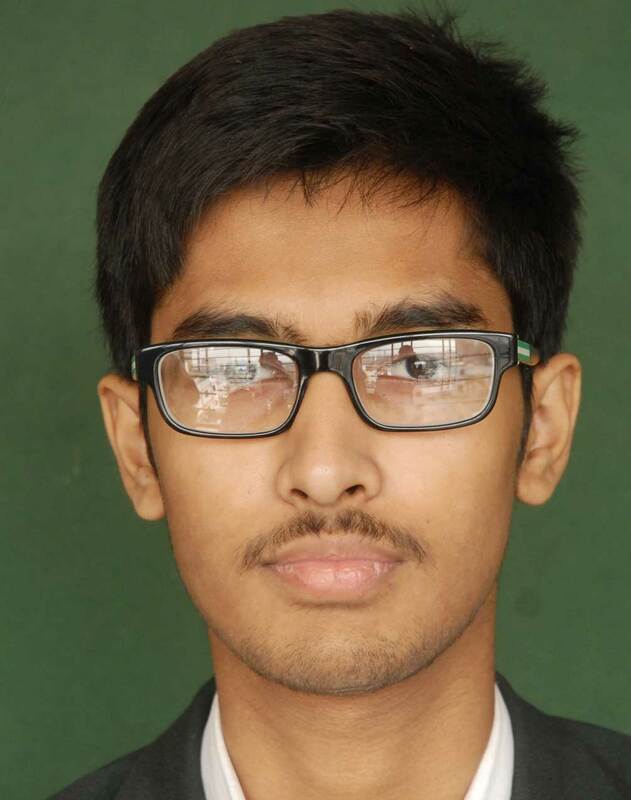 The motion was – ” VIDEO GAMES ARE ENTERTAINING BUT HAVE A NEGATIVE IMPACT ON YOUNG MINDS“. Fifteen Delhi Public Schools participated in the event. Arunavha Chanda (Class-X), Yashvardhan Thirani (Class-X) and Mitul De Choudhury (Class-XII) – Participated and secured the Third position in the Interschool Green Quiz – a part of the World Environment Day Awareness Programme organised jointly by American Library, U S Consulate General Kolkata and Anti-pollution Society India on 2nd June, 2011. 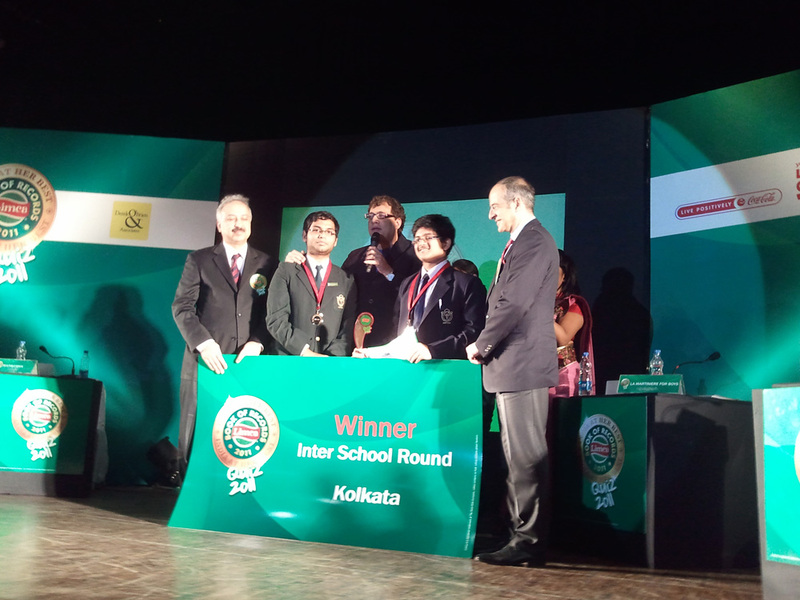 Delhi Public School Ruby Park Kolkata emerged triumphant over 3800 schools across 80 cities at the National Finals of the Limca Book of Records Quiz-II in New Delhi on 13th December, 2011. 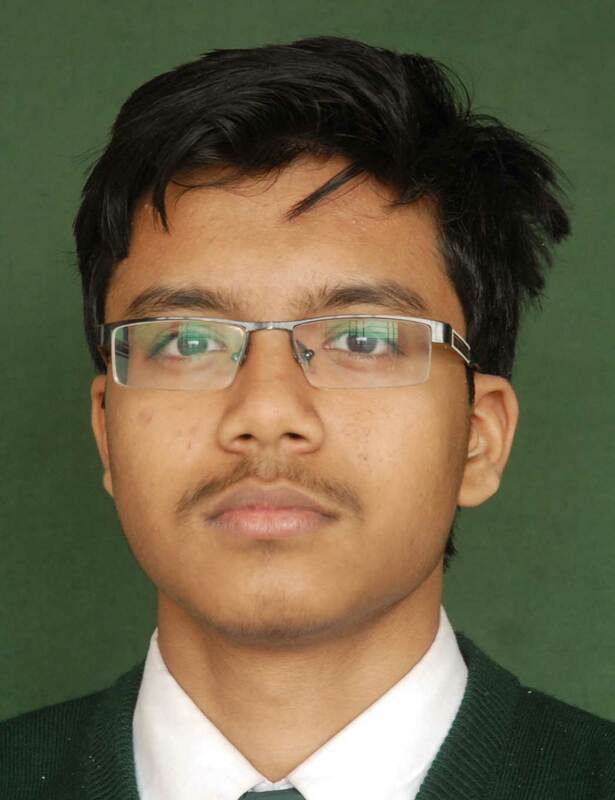 Arunavha Chanda of Class X and Mitul Dey Chowdhury of Class XII represented the school after winning in the Kolkata edition as well as from the East zone. The Quiz was hosted by renowned quiz master and Rajyasabha member Derek O’ Brien. 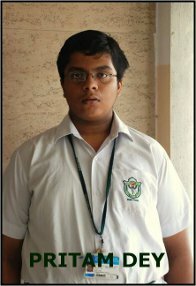 TTIS and Aakash Institute jointly organized Elixir, a science quiz on 17th November, 2011 at G. D. Birla Sabhagar, Kolkata. The quiz was conducted by quizmaster Barry O’ Brien. 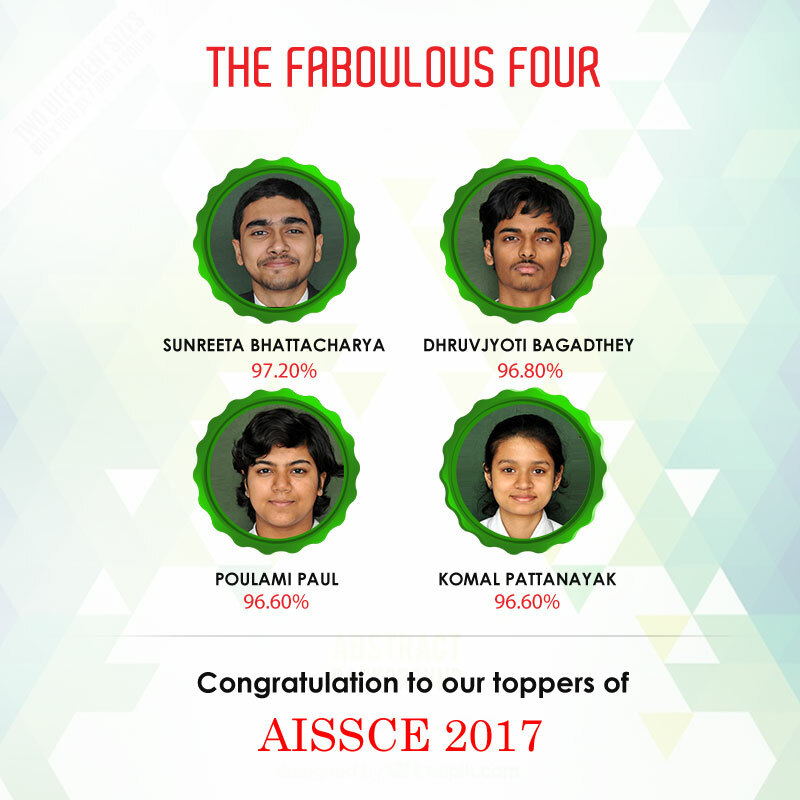 The school was represented by Arunavha Chanda, Ravi Tripathi, Shounak Paul and Ankit Pati of class 10. The Finals were an intense battle between the eight teams on stage. DPS Ruby Park finished as the First Runners-up. The Programme ended with a speech on the ‘Importance of setting up goals in life’ by the Guest of Honour and the prolific author Chetan Bhagat. 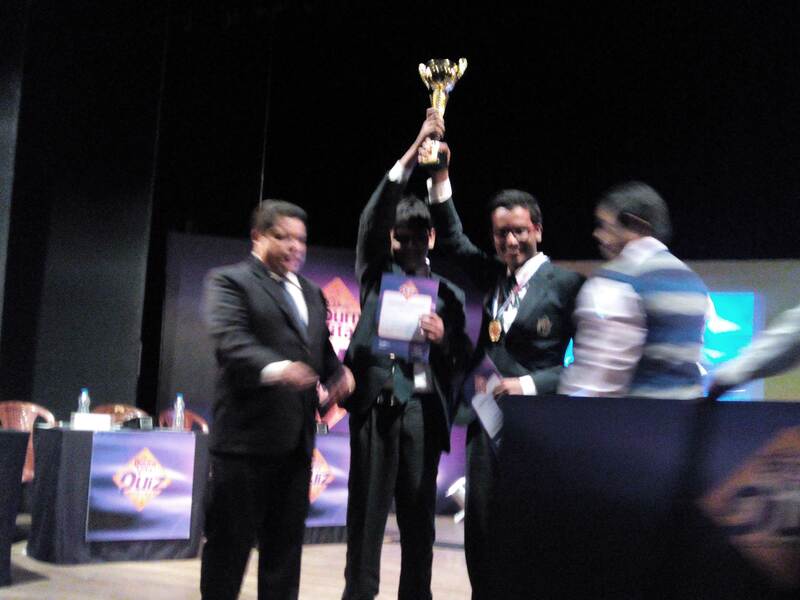 DPS RUBY PARK IS THE WINNER OF THE LIMCA BOOK OF WORLD RECORD QUIZ FROM THE KOLKATA REGION. 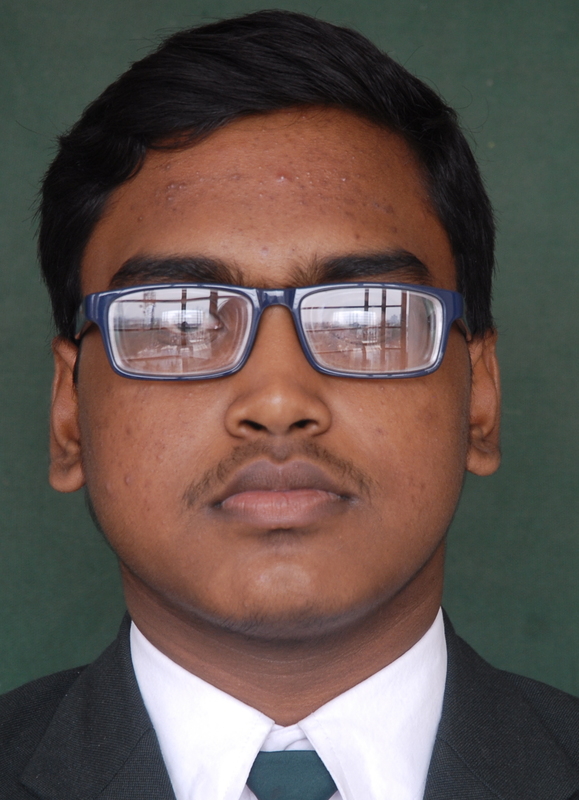 Arunavha Chanda (Class X) and Mitul De Chowdhury (ClassXII) won in Inter-School Limca book of World Record Quiz from the Kolkata Region and qualified for the Nationals to be held in Delhi. 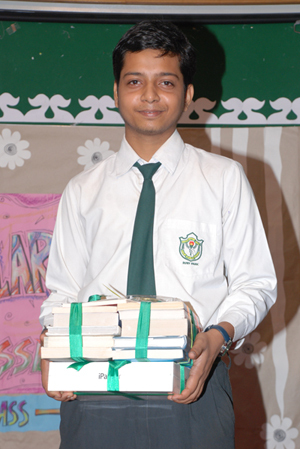 98 Schools participated in the contest held in South City International School auditorium on November 15, 2011 . The quiz was conducted by quizmaster Derek O’ Brien. 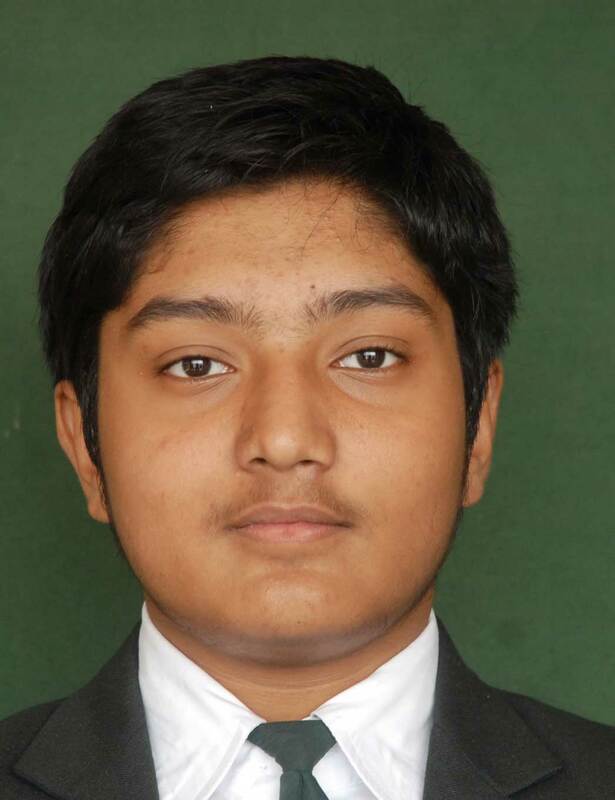 Delhi Public School Ruby Park students(Under-14) participated in the Inter-school Sports Meet organised by B.D Memorial Institute(Spanza’11) in the month of November, 2011 and emerged as Champions both in Football and Table Tennis. The Cricket team became the Runners up. 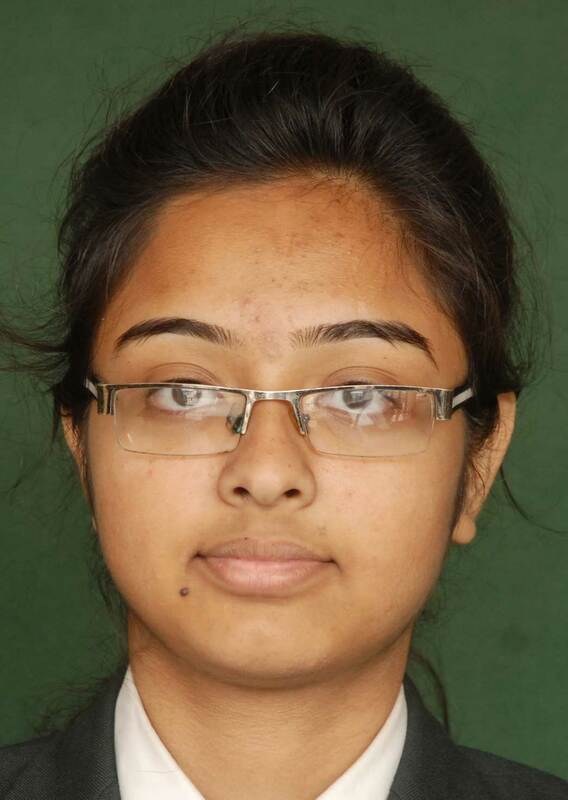 Delhi Public School Ruby Park Girls once again proved their talents. 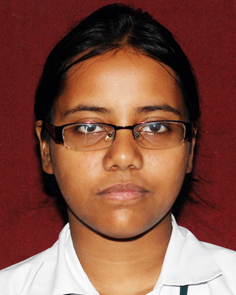 They participated in the Fourth Inter-school Gojukai Karate Do tournament for Girls organised by Calcutta Girl’s High School on November 12, 2011 and secured 2 Gold, 2 Silver and 3 Bronze medals in the Basics, Kata and Kumite events. National University Of Singapore along with Rs. 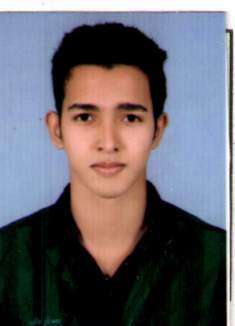 50000/- ScholarshipCongratulations!!! 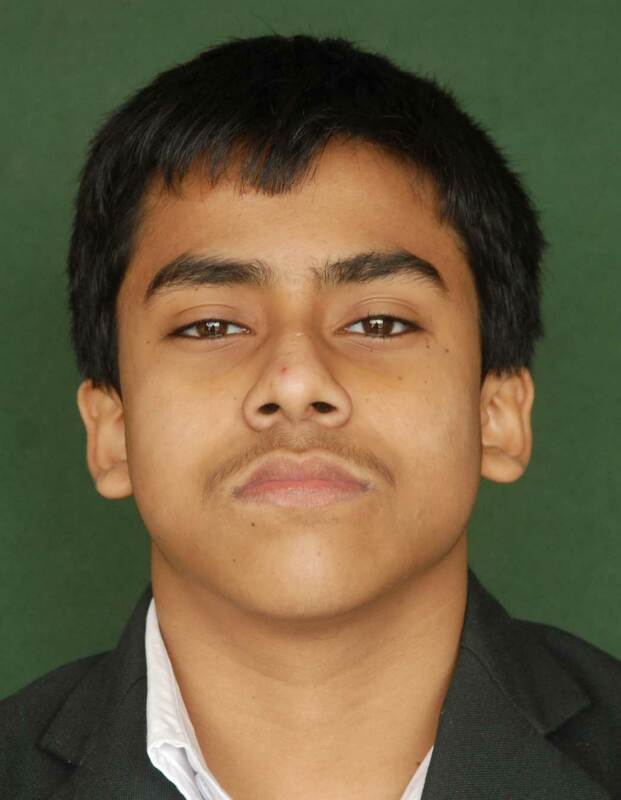 Students of DPS Ruby Park participated and performed extremely well in ‘HORIZON XIX’ – An inter School/ College Gajukokarate Tournament, held in Salt Lake Stadium Ground from 13th to 15th August,2011 organised by Sensei Lalit Kr. Shaw. 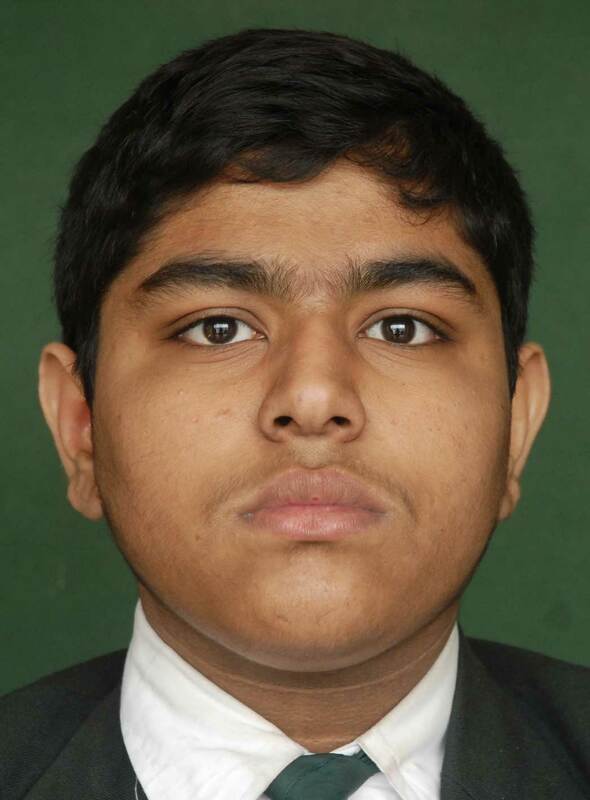 Tanmay Joshi of Class X has secured 3rd International Rank in 2nd International English Olympiad.He has received a Bronze Medal as well as Rs. 25000/- Prize money for his performance. 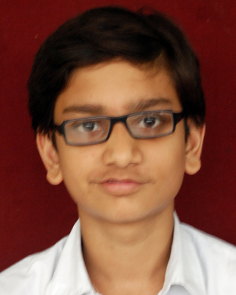 Shameek Agarwal of Class VIII has secured 1st State Rank in 2nd International English Olympiad and received a Gold Medal. 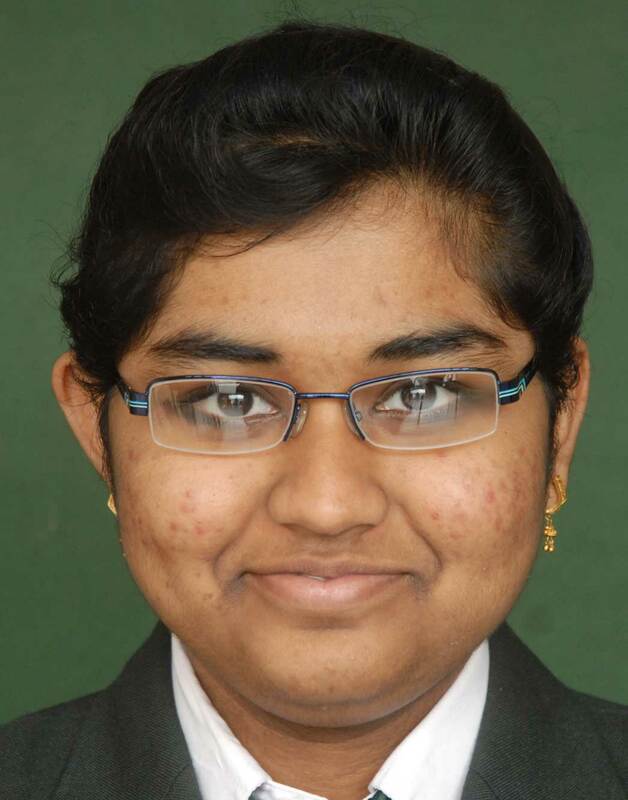 Sanjana Sen of Class X has secured 1st State Rank in 2nd International English Olympiad and received a Gold Medal. 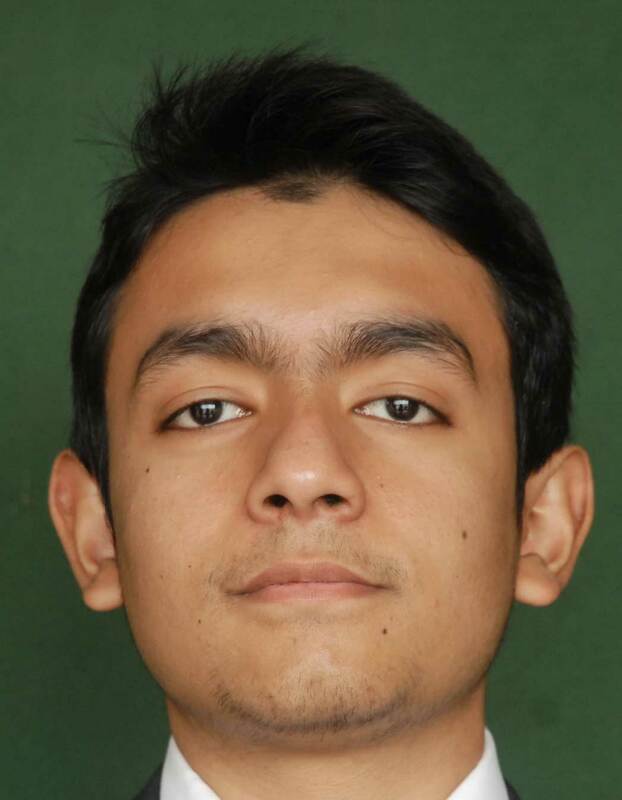 Harsh Chhajer of Class XII has secured 1st State Rank in 14th National Science Olympiad and received a Gold Medal. 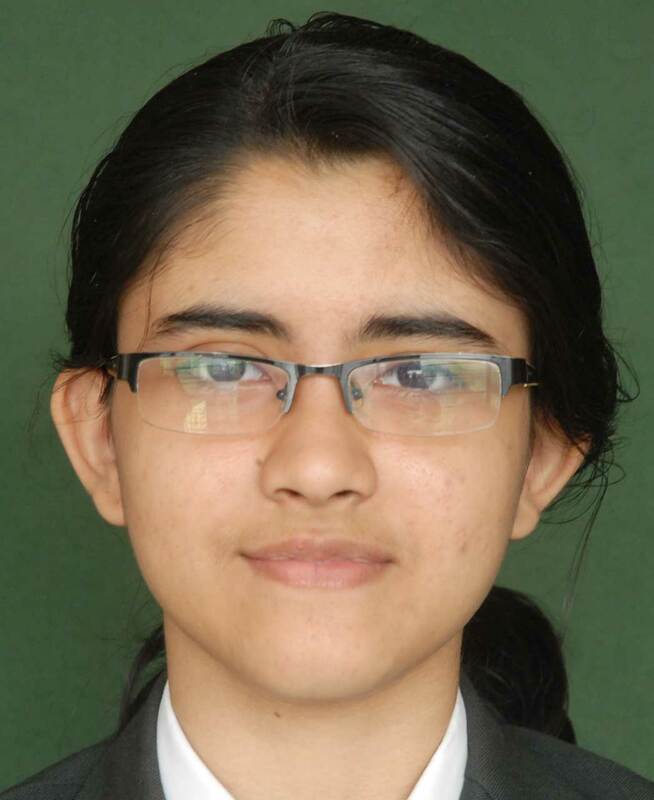 Vasudha Kataruka of Class X has secured 2nd State Rank in International English Olympiad and received a Silver Medal. 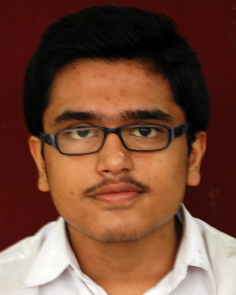 Pritam Dey of Class XII has secured 2nd State Rank in 2nd International English Olympiad and received a Silver Medal. 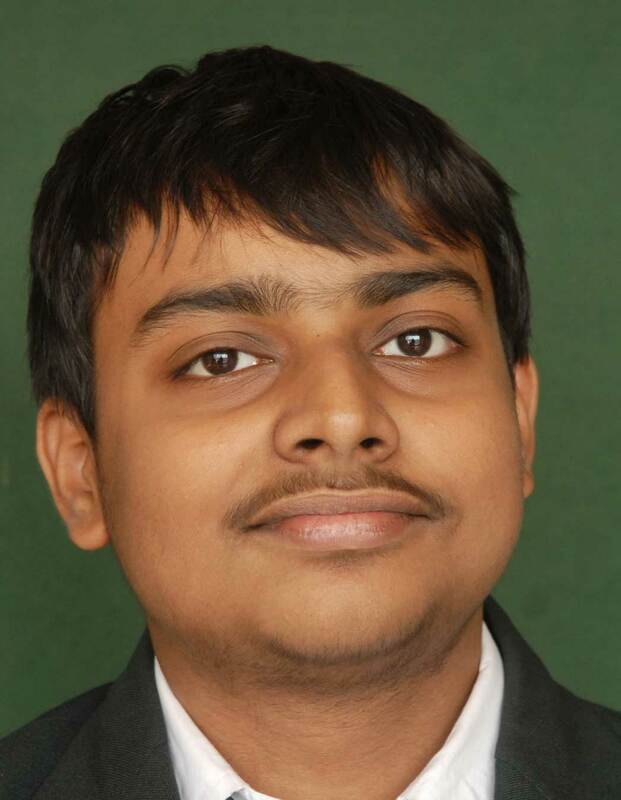 Ishaan Ghosh of Class X has secured 2nd State Rank in 11th National Cyber Olympiad and received a Silver Medal. 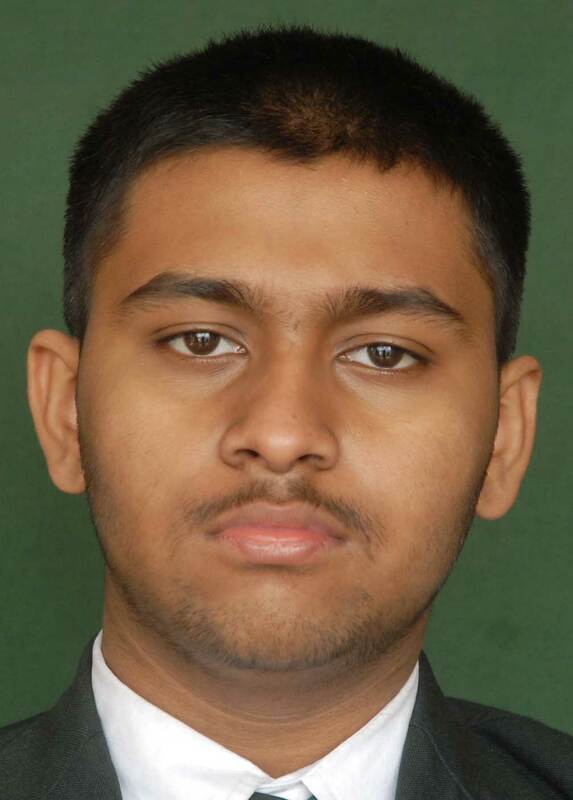 Debarshi Ghosh of Class VII has secured 2nd State Rank in 5th International Maths Olympiad and received a Silver Medal. 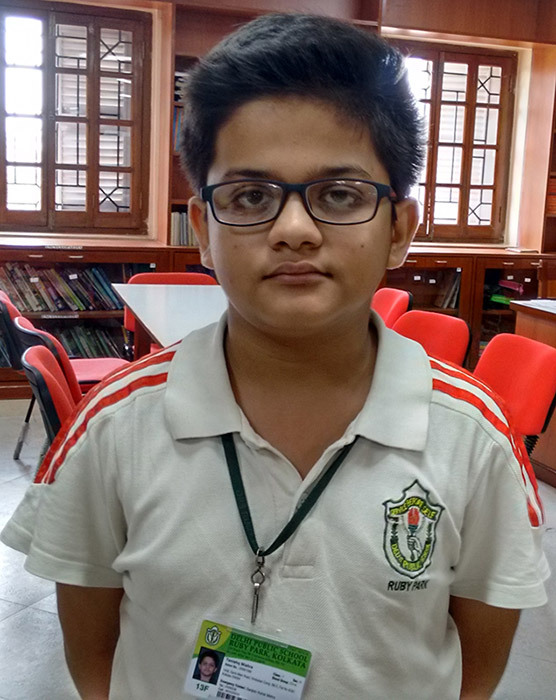 Soham Chakraborty of Class VIII has secured 3rd State Rank in 2nd International English Olympiad and received a Bronze Medal. 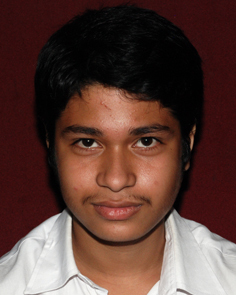 Karan Suresh of Class IX has secured 3rd State Rank in 2nd International English Olympiad and received a Bronze Medal. 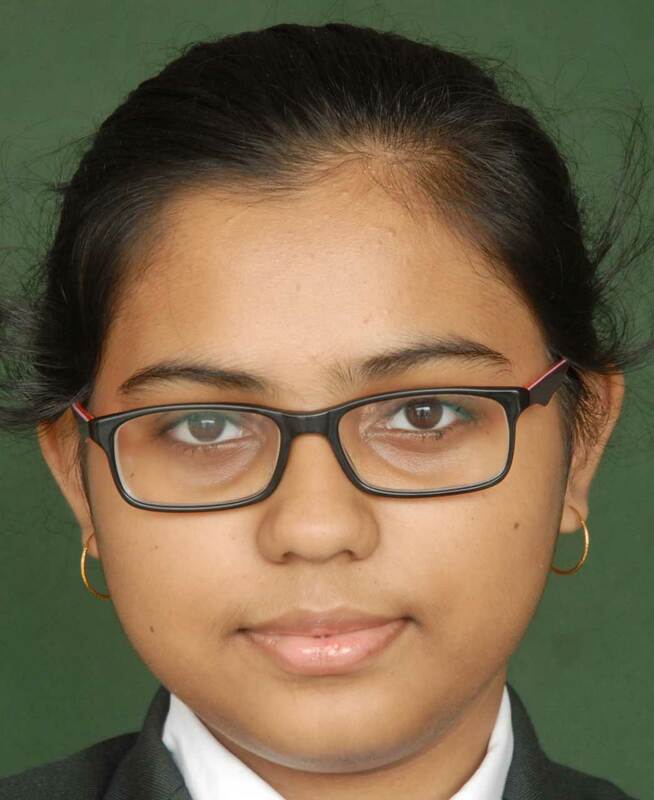 Amrita Ray Chaudhury of Class XI has secured 3rd State Rank in 2nd International English Olympiad and received a Bronze Medal. 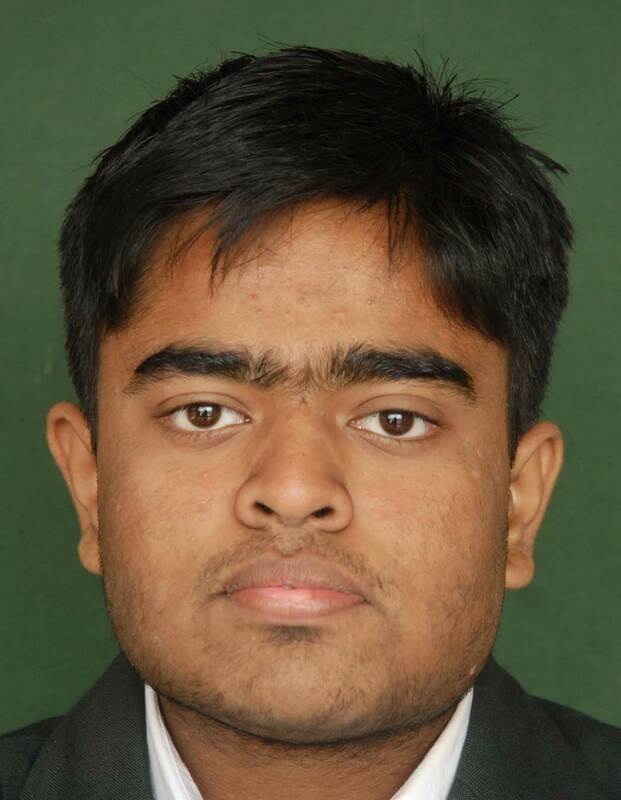 Himanshu Sharma of Class X has secured 3rd State Rank in 5th International Maths Olympiad and received a Bronze Medal. Delhi Public School Ruby Park Participated in All India Inter-DPS Multisports Meet for Girls Under 14 in Ranchi and emerged as champions in Athletics. Congratulations to the winners!!! Students of DPS Ruby Park qualified to the final rounds and stood first in the under 14 category in the CBSE Cluster II East Zone Table Tennis Tournament hosted by Lakshmipat Singhania Academy from September 23 to 25 in their school premises. Around 233 students from 22 schools of West Bengal, Jharkhand and Orissa took part in the event. 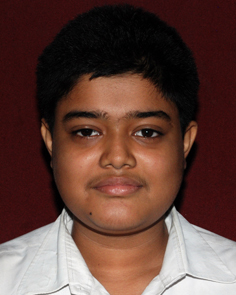 Priyankush Bose of DPS Ruby Park won among the boys. Students of DPS Ruby Park participated in ‘ULLAS’ for Primary School Students and secured the Second Position in the folk dance competition on September 26. Students of DPS Ruby Park participated in the Inter-school Swimming Carnival on 12th August at Indian Life Saving Society and secured 2 Gold medals, 3 Silver medals and 2 Bronze medals.